Enjoy a short trip with a full itinerary to the Channel Islands and France. Saga Pearl II will sail to Guernsey and then Honfleur before stopping at Dartmouth on the way back to Portsmouth. This mid-week mini cruise for the over 50's is ideal for a short Spring break close to home. It conveniently sails from Portsmouth Port on Tuesday 3rd April 2018. All ports of call on this itinerary are full days from around 8am to around 5pm, so you will have plenty of time to go off and explore. Alternatively, book a shore excursion for a hassle-free way to see each destination. The first port is St Peter Port in Guernsey. This is a tender port, so you will need to hop aboard a small tender boat that will ferry you from Saga Pearl II to the island. In April the weather should be warming up, so your visit to this seaside town with a British feel should be glorious. The captain will sail overnight to Honfleur in France. Alleyways of small shops and small restaurants line this picturesque old fishing port. The following morning you will arrive in the maritime town of Dartmouth on the English coast. 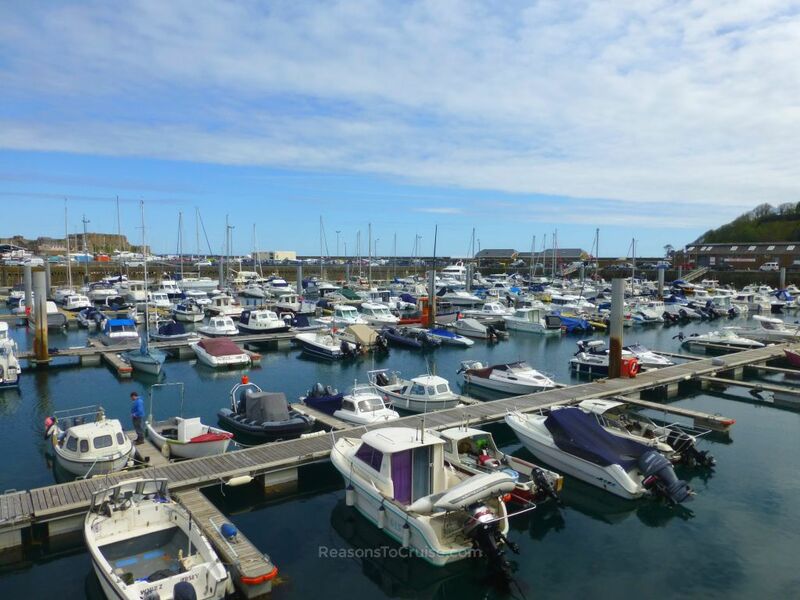 Explore its heritage or take a ride on a Brixham Trawler. Enjoy your final night aboard before arriving in Portsmouth the following morning where you will disembark. Saga Pearl II is a small ship from the 1980s that carries fewer than 450 passengers. Despite its size, it still boats a variety of restaurants, bars, pools, a shop, spa and gym, and a card room. The ship also offers a range of Inside, Outside, Balcony and Suite cabins to suit all tastes and pockets.